Instead of focusing on one specific Star Wars game such as Star Wars Battlefront, EA took the opportunity to preview all of the games they’re working on for the franchise, which is many from a bunch of different developers including Titanfall developer Respawn Entertainment, who’s working on a third-person title, BioWare, DICE, and more. As far as actually showing the games, there’s not a whole lot of that. 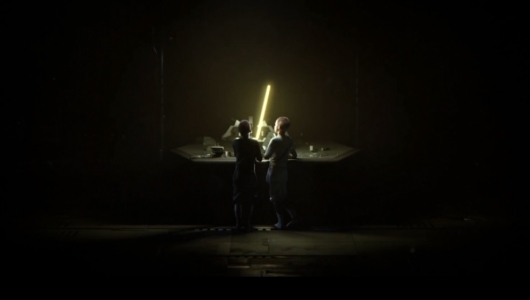 It’s more of a behind the scenes video talking with many of the people who are working on these highly anticipated Star Wars games. But there is one particular game that is briefly shown that will excite eager fans. That would be the game being worked on by Dead Space developer Visceral Games, led by former top Naughty Dog talent Amy Hennig—who was a writer and creative director on their Uncharted series and joined Visceral back in April of 2014—with the help of Lucasfilm VP and Executive Creative Director Doug Chiang. It’s not much at all, and it is early footage, but you can see that brief first gameplay peek and more on the various Star Wars games being worked on in the video below. You can also check out the rest of our E3 2016 coverage if you missed anything.